What are some memories from your childhood that stand out most to you? Where did you grow up? I was born in Cairo, Egypt and immigrated to the Boston area when I was about 5 ½ years old. The most significant childhood memory I have is when I discovered escapism through reading. I was thirteen, and we moved from Boston to Dallas, leaving all my friends and cousins behind. There was a heatwave, and my siblings and I were stuck inside the house while my parents worked. I fell into a deep depression. We had very little money, and my mother one day stopped at a garage sale and bought a huge box of books. She put it in front of me that night and said, “read!” I ignored the box for a couple of days, but then curiosity got the best of me, and I rummaged through it. I began to read and never stopped. Reading saved my life. I was no longer trapped in a house without anything to do. Through my books, I travelled the world, learned all kinds of new skills, and made a tremendous amount of new and exciting friends. Which is your favorite place to visit in Cincinnati, Ohio? Has your husband read any of your books? My favorite place in Cincinnati is where ever my grand-daughter is. We moved to Ohio a year ago because my daughter was expecting our first grand-child. I live five minutes from my daughter and frequently babysit. I am always with baby Juliette and am happy to be where-ever she is. I expect I will be visiting many kid-friendly attractions in the future. No, he knows all the plots, and we frequently discuss them, but I don’t think he has read one all the way through. Having binge watched too many shows to count, which one is your all-time favorite? Do you take inspiration from these shows for your stories? Oh my God! Who told you I am a serial binge watcher? I binge so many shows. If I get my word count in and have met my writing goals, I give myself a treat, and then another, and another. I have binged ER, MASH, Gray’s Anatomy, Scandal, The Good Wife, NCIS, Sons of Anarchy (a HUGE favorite), The Resident, This is Us, and so many more. My favorite show is, Downton Abbey. Having lived with your husband of 31 years, do you create your characters based on the relationship that you and your husband share? Why did you choose to write in romance genre? I met my husband when I was nineteen, and we married when I was twenty. He has been, and will always be, my one and only love. We have been married for 33 years this July, and he is the biggest blessing in my life. All of my characters have a touch of someone I know or met, read about, or watched on TV. People fascinate me, and I never run out of material or unique characters. How did you get the idea for the book, "Six Months?" Do you find any similarities between the main character, Mikala Jacobson, and you? What does friendship mean to you? Who are the Rena and Jake of your life? I am fortunate to have several close friends in my life. I am not one to have a large group of people in my circle, but my friends are also my family. I would do anything for them, and I know I can depend on them. I have made some new friends online through writing groups and social media, and they have been incredibly supportive. I think I’ll keep the names of my Rena and Jake private because they know who they are but won’t necessarily appreciate the media. I love them dearly, and they are my sounding board. An avid reader from a young age, who was your favorite author? 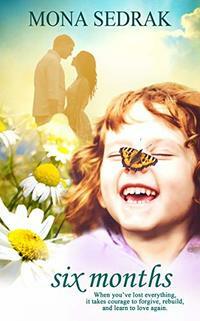 Did you grow up reading contemporary romances? I read a lot of Judy Blume as well as Nancy Drew––huge differences, I know! I also discovered Harlequin Romance novels in my teens and became an addict, and I mean I became a Harlequin book hoarder. I would read 2 sometimes 3 books a week. I then went on to Danielle Steel and many, many author fabulous authors. Who was the inspiration behind the character Mikala Jacobson in "Six Months"? Do you think a lot of women have felt the way Mikala Jacobson did at some point in their lives? Mikala’s story is every woman’s story who has experienced loss. Every person who has lost a loved one experiences grief differently, but there are many similarities. Mikala endured a double tragedy and then found out that the life she’d lived was built on lies and deception. The people who she trusted the most had lied to her, and her devastation knew no bounds. Still, the human spirit is strong and resilient, and she survived and thrived. How was your experience of co-publishing two academic books? Which one is easier to write – academic books or mainstream fiction? I would say neither experience was easy. Both are very different and come with their own set of challenges. At the time I wrote academically, I enjoyed the process immensely, but I must admit I enjoy writing fiction so much more. I enjoy writing on my own rather than co-publishing, and I enjoy character development and world building. Since when have you been working as a university administrator and professor? Do you wish to leave your job and become a full-time writer? I have worked in higher education since 1999. I love my work as a professor and administrator and have been fortunate to have a successful and satisfying career. I love writing, though, and one day I would very much like to write fulltime. Why do you call yourself Audible’s best customer? Until recently, I have always lived at least an hour if not more from my job, and I began listening to audiobooks to pass the time. I quickly became an addict and began listening to audiobooks as I cooked, cleaned house, did laundry, ate, etc…I love books in all forms, but I have found, with a great narrator, books really come alive. Where did you find your Amazon Parrot, Pretzel? I adopted Pretzel when her owner past away. She and another parrot came into my home when I already had an amazon parrot. That means I had three screeching birds, a Great Dane, and a maltipoo. My house was a zoo, and I had to wear noise cancelling headphones to write. I have always loved animals. Now my animal kingdom has shrunk to just Pretzel and Lucy (maltipoo), although I may be in the market soon for another dog to keep Lucy company. If you could ask one successful author three questions about their writing, writing process, or books, what would they be? Marketing and promotion are a lot of work. How do you balance both? Are there benefits to getting an agent, and how do you know when you need one? Some authors write multiple books at the same time. How do you do that? What are some common traps that new authors tend to fall into? Any advice on how to avoid these traps? Fear. I think many authors are fearful of putting themselves out there. They are fearful of rejection, and so they never even submit, even when they are asked to by a publisher. I once pitched to an editor who told me 80% of authors she asks to submit their novel never do. I think new authors need to understand that rejection is a part of the process. Take the criticism, work with a group or partner, improve your writing, and submit. Where do you see yourself as an author in 10 years time? Are there any goals you hope to accomplish in the year 2019? In ten years time, I do see myself writing fulltime. I believe in myself and my work, and I think I will have several books on the bestseller list. To get there, though, I will write, write, and rewrite. I will learn and I will improve my craft. 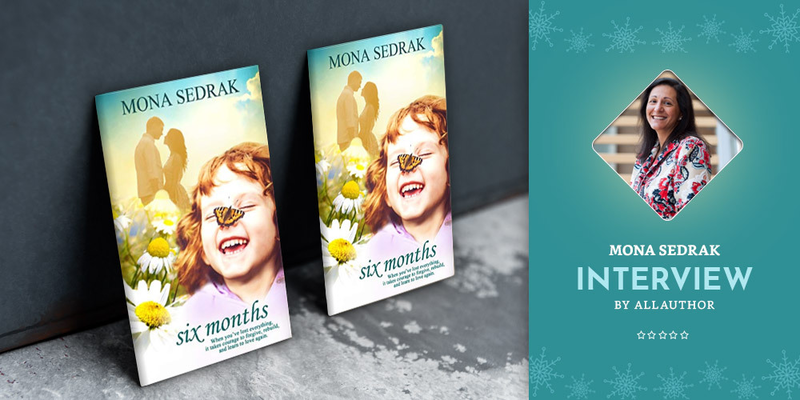 Author Mona Sedrak was born in Cairo, Egypt and immigrated to the Boston area when she was about 5 ½ years old. Her favorite place in Cincinnati is where ever her grand-daughter is. All of her characters have a touch of someone she knows or has met, read about, or watched on TV. She enjoys writing on her own rather than co-publishing, and she enjoys character development and world building. The author likes her books to be based on real life events that draw the reader in with their strong emotional tug. 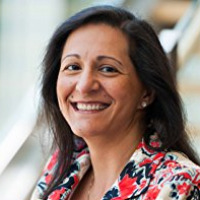 Mona has worked in higher education since 1999. The author advises the new authors to take the criticism, work with a group or partner, improve your writing, and submit.